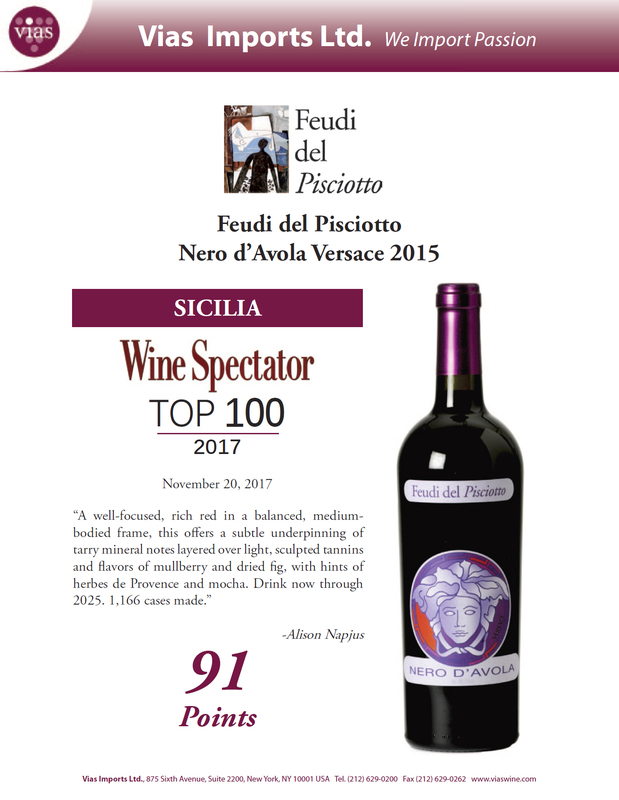 We are proud and honored to have two wines in the Best 100 wines of the year 2017: Feudi del Pisciotto Versace Nero d'Avola 2015 is #96 in the Top 100 by Wine Spectator and Produttori del Barbaresco Rabaja' Barbaresco Riserva 2011 is #2 in the Top 100 by Wine Enthusiast! 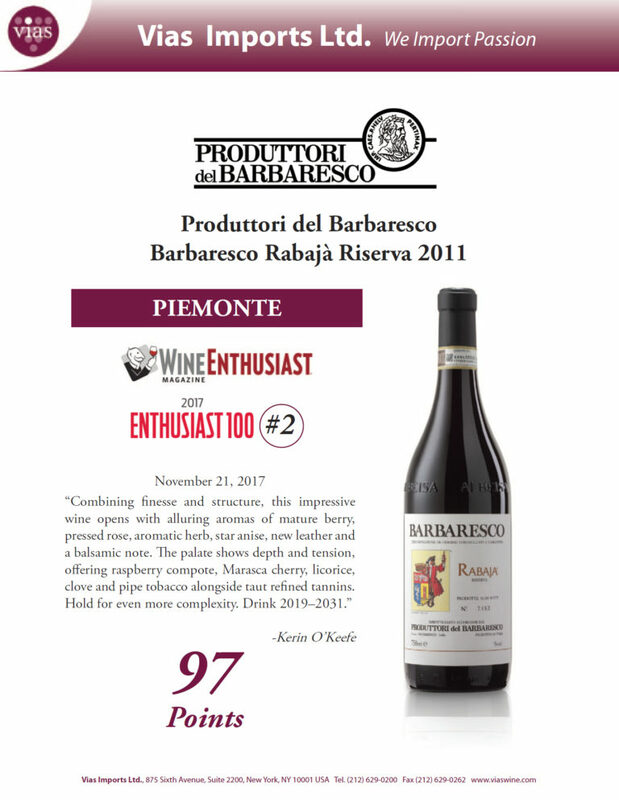 Congratulations to Feudi del Pisciotto and Produttori del Barbaresco for these amazing achievements, which inspire all us at Vias Imports to go higher and higher! Bravissimi!